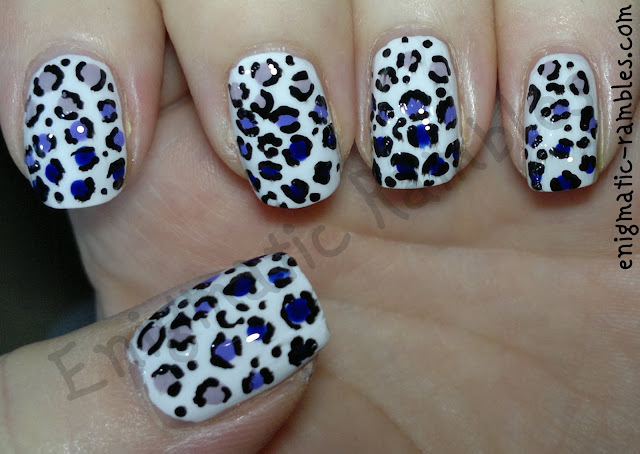 I first saw this as a tutorial from CutePolish on YouTube, and thought I ought to give it a go as it has been a while since I freehanded some leopard print nails. I think it worked great other than the topcoat smudging on my ring finger, plus I much prefer purple to pink! Cool idea, I'll try it! !